Are you running low on disk space yet again? It’s really easy to lose track of things and create enough clutter to fill up your disk (especially if you have a budget Windows laptop with 32GB or 64GB flash drive). Luckily, you may not have to delete any important files to recover enough disk space. Just follow our 5 simple steps to free up disk space. Every time you use your computer it creates temporary files. These files help it perform tasks faster and smoother. The problem with all types of temporary files (especially temporary Internet files) is that they get stored on your computer a lot longer than they’re needed, often eternally. 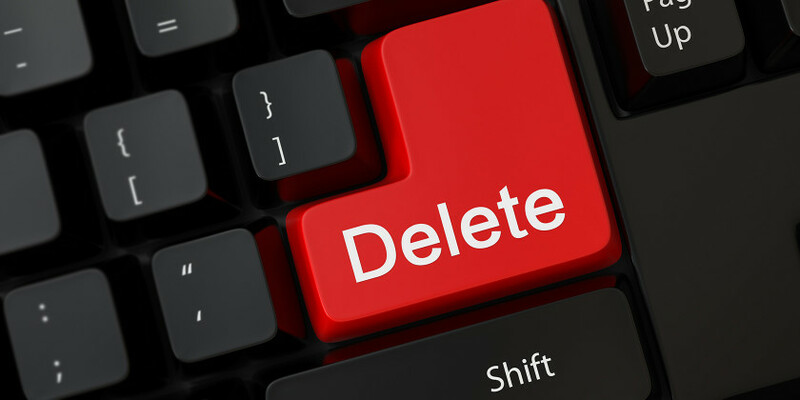 If you’ve never emptied your browser caches and deleted OS temporary files, you could have gigabytes of junk files occupying space on your hard drive. Delete them and those gigabytes will be yours to use again. If you want to free up even more space, click on “Clean up system files”. You need to be logged in as administrator for that. Another great way to recover tons of disk space is to delete duplicate files from your computer. Depending on how you use your PC, you may have gigabytes of space occupied by duplicate files that you don’t need at all. These files can include photos, songs, and even movies (just think how much space they waste)! You could try finding duplicate files manually but that would take ages and won’t bring good results. It’s also potentially dangerous because you may delete a file you need by accident. That’s why the best way to find and get rid of duplicate files is to use a dedicated app like Easy Duplicate Finder. Do you have lots of large files on your computer? If you store movies and music on your PC’s drive, then most likely you have lots of huge files that take up massive amounts of space. Because these files are not important system files, you’d be better off moving them to an external hard drive – it won’t take long but would help you to recover substantial amounts of space. If you don’t know what these large files are and where they are located, FileCleaner will help you find and move them. When you are on a space-saving mission, a smart way to free up disk space is to move some of your files to the cloud. You don’t need to sync all these files to your computer because you can always log in to your cloud storage from any device and work on any document you need to. Google Drive and Dropbox are great free options. We hope that our tips helped you to recover free disk space on your PC and you now have lots of room for the stuff that matters.